A lot of people say that the black Symbiote suit is the best one. We disagree. While the Venom-inspired Spider-Man suit has a dark and mysterious style, it can't compete with the Iron Spider. Here's why. First of all, the Iron Spider from Marvel's Avengers: Infinity War combines the advanced technology of Tony Stark with the fashion sensibilities of Peter Parker. Not only does it help Spider-Man maintain his web-slinging ways, but it also lets him use high tech features, like brand new Waldoes and tech that lets him breathe while at high altitudes. Plus, just look at that sleek new style! Streamlined Spider Symbol with some sharp new golden accents... more of that, please! Now that you know which Spider-Man costume is the best, you know which costume you need to get for your child. 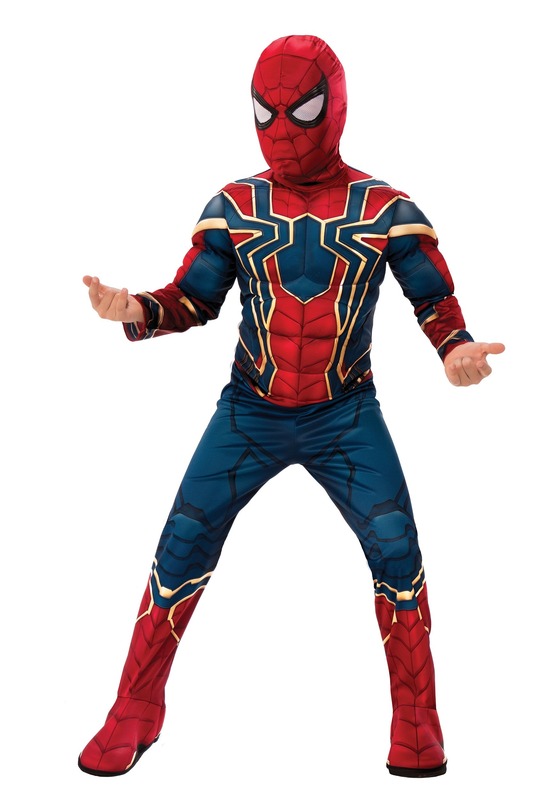 This Marvel Infinity War Child Iron Spider Costume faithfully recreates Spider-Man's look from the latest Avengers movie. Although it might not have the high tech features of the suit in the movie, it does something even more amazing. It gives your child the ability to role-play as his superhero. It comes with muscle padding in the chest and arms to help your child look like one strong little superhero. It also has blue, red and gold designs printed on the exterior. It comes with a hood and mask combination to help your child fully transform into Spider-Man, ensuring that your little one will be the coolest superhero on the block when playtime comes around. This costume is what you're looking for. 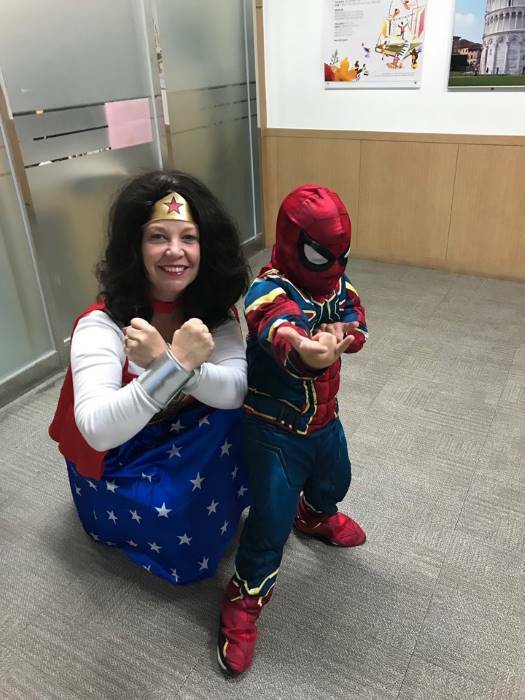 Whether you need an Avengers costume for your little one to trick or treat in, or you just want your child to have epic adventures as Peter Parker, this costume is THE costume to have. My son loved his costume. He wore it to the park even after Halloween. It was a great buy!